Are we doing enough to help new instructional designers produce the types of e-learning experiences that we want to see? Over the last few years, I have focused more on the psychology of learning and getting a better understanding of our cognitive architecture. Concepts such as the forgetting curve, multimedia presentation research, schema formation, spaced practice, habit formation, and behavior change have been more useful to me than all the training of my early days. There are some useful insights emerging from neuroscience, too—although we have to be careful that we have sufficient evidence to back up the “brain-friendly” training claims. How do you conduct a thorough analysis to ensure that your e-learning project is necessary and will meet the needs of the business and its staff? How do you select the best learning approach for your target audience? How do you work effectively with subject matter experts to ensure the best focus for your e-learning project? 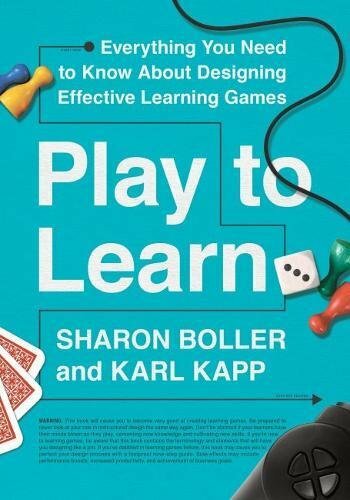 How do you master specific instructional or presentation techniques, such as scenario design, game design, simulations, and explainer videos? How do you help people transfer new skills to their everyday jobs? How do you keep people learning beyond the initial course or resource that you present? How do you encourage more “pull learning” than “push learning”? How do you visualize key concepts and communicate them to your audience? How do you evaluate the success of your e-learning project for the client (and set goals for yourself to keep getting better)? Read the full article at the ATD website.